OUR FIRST FREE SATURDAY WOD AT THE BOX! First Saturday is upon us! We always spice up Saturdays with some brutal workout... so don't be afraid and come and grind it out with the rest of us here at HYPE. We have opened up the 10am AND 11am for free drop-ins this weekend. We will do so for the first few weekends to allow newbies to crossfit to have more opportunities to try us out. Come April we will go to the original schedule of 10am Members ONLY, 11am FREE CLASS. 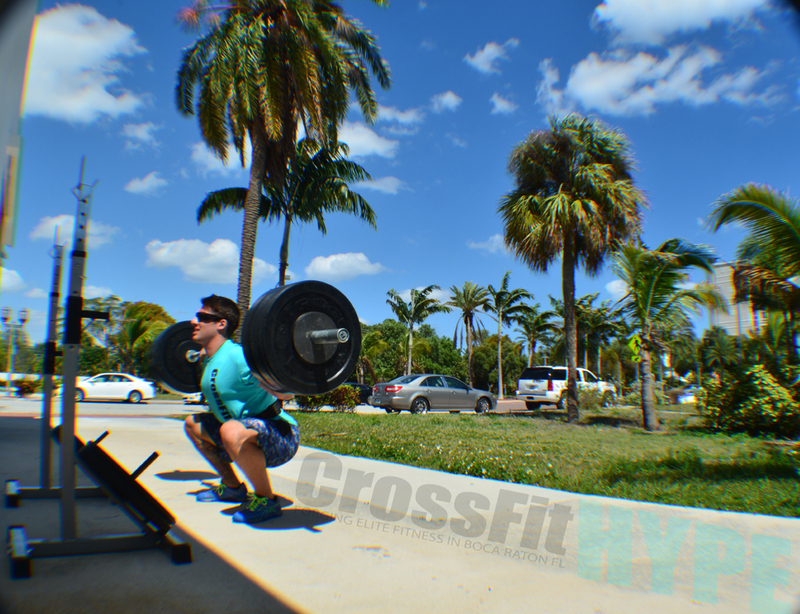 dragged a squat racks outside for some smolov 7x5 back squat. Sun + Gainz = a good day.